Francisco which was one of San Francisco’s original “Seven Hills” and is currently one of its 44 hills. Lower Nob Hill offers a location convenient to get to Union Square, Chinatown, Polk Street, and downtown San Francisco. Lower Nob Hill offers a safe San Francisco environment with a plethora of attractions to those who live there. Residents of our Lower Nob Hill apartments know that one of Lower Nob Hill’s greatest attractions is the granite walls which surround several local mansions. These walls were the only parts of the city to survive an early 20th Century earthquake and still stand today. Lower Nob Hill also offers a vast park system including Huntington Park which offers a playground for children, gardening and picturesque fountains. Our Lower Nob apartments are located near a number of nightlife spots including top restaurants and bars. Equity’s Lower Nob apartments offer top studio and one bedroom apartments for rent. Individual apartment amenities can include large private patios, dishwasher, walk-in closets and amazing city views. Community amenities include on-site laundry, 3-level parking garage, and the convenience of having a Walgreens right on the main level. 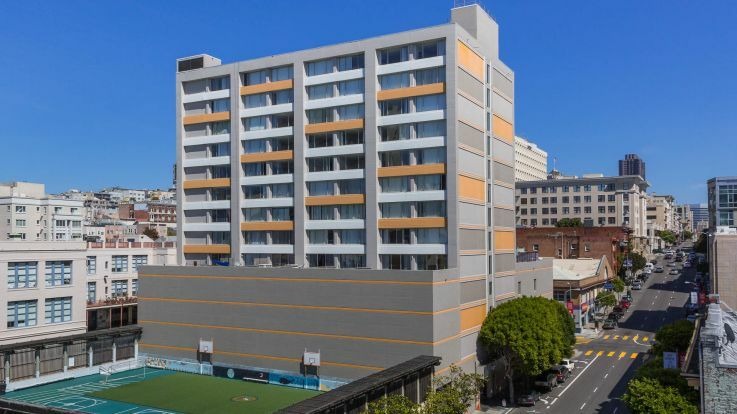 Our Lower Nob apartments are sure to give you everything you are looking for in your new apartment home; however, if you aren’t finding what you’re looking for, be sure to look into our other Downtown San Francisco apartments.